Published in 1835 by French playwright and novelist Honoré de Balzac (1799–1850) Le Père Goriot (or Old Goriot or Father Goriot) is widely considered Balzac's most important novel. Rich in Balzac's realist style, the novel uses minute details to create the context and fabric of the story and to round out the characters. It is also the first purposeful example where Balzac re-uses characters that he introduced in other books -- a characteristic of Balzac's fiction. It was serialised in the winter of 1834 - 1835. The story follows the intertwined lives the aged, doting Goriot; a cimininal on the run named Vautrin; and a naive law student named Eugène de Rastignac. Social climbing is one of the major themes of the book. The french expression Rastignac arises from this story, it is used to describe a ruthless social climber that seeks to advance their social standing using any means possible. 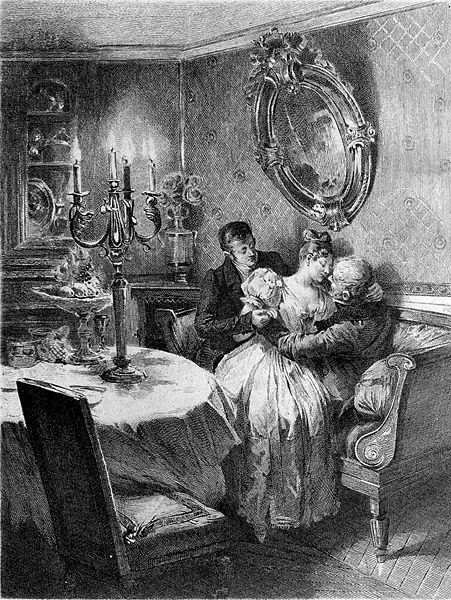 While the story received a lukewarm reception from the critics, it gained was very popular with the readers of the time and was often adapted for the stage and cinema.